This afghan square measures 12″ across. I love the pretty circle in the center. 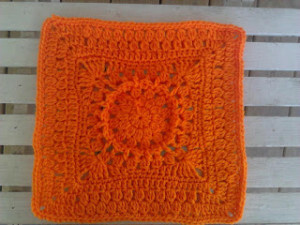 And the square is great for afghans, but might also work as a pretty table mat.